challenge #171! Are you one of them lucky ones??? Congrats to all the winners!!! Have a great day! 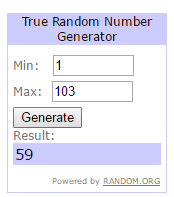 Congratulations to the winner and picks! Well done, ladies! Dear Jo, so sorry I haven't been around for awhile, had lots of problems, computer, health, you name it. I'm slowly getting back to blogging. I just noticed you have reached your 500 followers! Congratulations! I knew you could do it! So who won the Amazon gift card? I hope I didn't miss out for being offline! I will search back to find your winner's announcement... Thanks so much! Congrats to all your winners!